What happens during and after a car accident can be traumatic, and can affect the body and the mind. 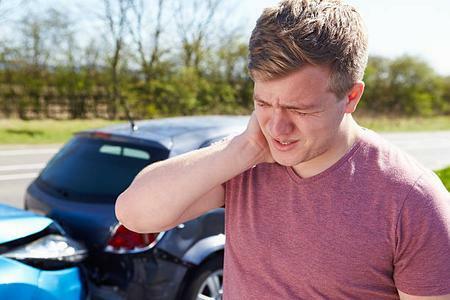 Directly after a car accident, you may not even realize you are injured. Your adrenaline is pumping, you are in fight or flight mode, and you don’t feel too much pain. You may only feel a little tension in your neck, shoulders, or back. But ignoring even minor symptoms after a car accident can have long lasting effects. Using Acupuncture after a car accident can shorten recovery times, reduce pain, and get you back to doing the things you love much more quickly. and then begin getting Acupuncture and chiropractic immediately. heal more easily after a car accident. As a passive therapy, there is not any abrupt movements that could cause more pain or injury with the treatment. If you are considering Acupuncture after a car accident, schedule or give us a call today. Your PIP insurance, either through your insurance or the other driver’s insurance is required to cover medical care after a car accident. This includes Acupuncture. There is no need to suffer! Before coming here I was incredibly skeptical of acupuncture as a practice. I’d never had any desire to try it and honestly the entire concept made me nervous. That was until I was on McKenzie Highway in August and was rear ended while stationary by a woman doing at least 60MPH. I had some good work done by a great chiropractor and some amazing massage therapists, but it wasn’t until I started going to see Michael and get acupuncture treatments that I started to really get relief and some measurable healing. Michael is knowledgeable and professional, and I appreciate his technique and ability. I’ve never been more thankful than I have been since I started to feel a noticeable decrease in pain. This recovery has been brutal on my body and Michael and Kim have been an incredible resource that is the most instrumental and irreplaceable part of the process. They’ve earned my loyalty for as long as we are within driving distance of one another.. and even if we aren’t I’d probably still make the effort!